Posted by skyvu on Thursday, February 14, 2019 in News. 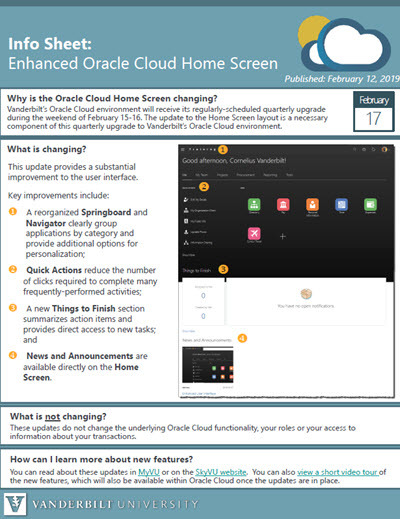 Vanderbilt’s Oracle Cloud environment will undergo our next quarterly upgrade the weekend of February 15-16, and after this update, the Home Screen will have a new layout with additional features. 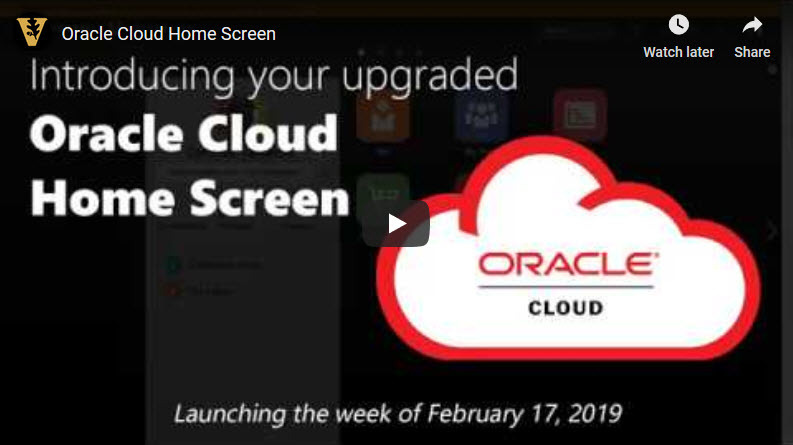 Why is the Oracle Cloud Home Screen changing? The update to the Home Screen layout is a necessary component of this quarterly upgrade to Vanderbilt’s Oracle Cloud environment. Click here to download additional information that you can review and share with your colleagues.